On June 18th arsonists attacked the Church of the Multiplication of the Loaves and Fishes at Tabgha, on the Sea of Galilee in what was a religiously-based hate-crime. (See news report here). The quotation daubed on the wall from one of the Jewish daily prayers made clear that the attackers understood their actions as religiously, rather than politically, based. With this, explicit Jewish religious terrorism in the Holy Land was launched. This called for special action and informed several steps taken by Elijah, lead by Director Alon Goshen-Gottstein. One response was an analysis of the situation and highlighting just how problematic it is in terms of Jewish-Christian relations. For Alon’s blog on Times of Israel click here. Precisely the recognition of reaching a watershed point led to action that is designed to take responses beyond the typical condemnation sounded so often. Following the words of Psalm 33, a response was required that showed action for the good and not just rejection of evil. And following a famous teaching of Rabbi Nachman of Breslav, the campaign was launched under the slogan: “If you believe one can harm, believe one can also repair”. Accordingly, if in the name of Judaism one could bring about harm, in the name of Judaism one could also restore. The initiative launched by Elijah, in partnership with Mosaica, was to help rebuild the burned Tabgha Church, or more precisely, its friendship center where interreligious groups regularly meet. To this end a crowdfunding campaign was launched. The crowdfunding campaign is not only a means for showing solidarity and support for the Benedictine community at Tabgha. It is also an opportunity for every person to vote for a Judaism that is other than that of the arsonist. By supporting the campaign, everyone can affirm a vision of Judaism that is accommodating of the religious other, rather than one of hatred. Getting rabbinic support for the initiative provided an occasion for opening a discussion on the status of Christianity as a valid religion, a subject that is not often enough explored and concerning which there is a lot of disinformation, both in terms of knowledge of Christianity and in terms of the history of Jewish views of Christianity. 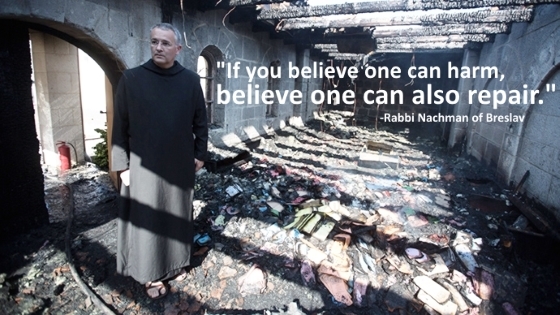 To read more on this aspect of the project, see Alon’s blog post “Why Rabbis Support Restoring the Burnt Church”. The entire process received a high-profile launch, by having Knesset speaker Yuli Edelstein, Israel’s number 2 representative figure, host the rabbinic delegation that supports the initiative and by his making the first contribution to the crowdfunding campaign. For a news coverage of the launch, click here. Please consider donating to the campaign as a sign of your support for interreligious friendship or as a vote for the kind of Judaism you would like to see flourishing in the Holy Land. 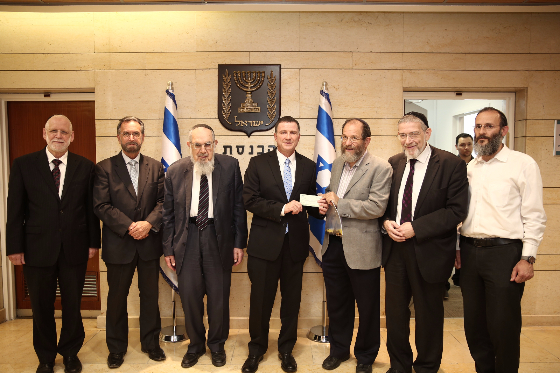 Knesset speaker (center) hands over first campaign check to Alon Goshen-Gottstein (third from right), in the presence of members of the Elijah Board of World Religious Leaders and other prominent Orthodox rabbis. It is not too late to register for Elijah’s annual summer school. The summer school will be an occasion to grow in interreligious friendship and to offer a further response to the vision of hate that found expression in the Tabgha arson. 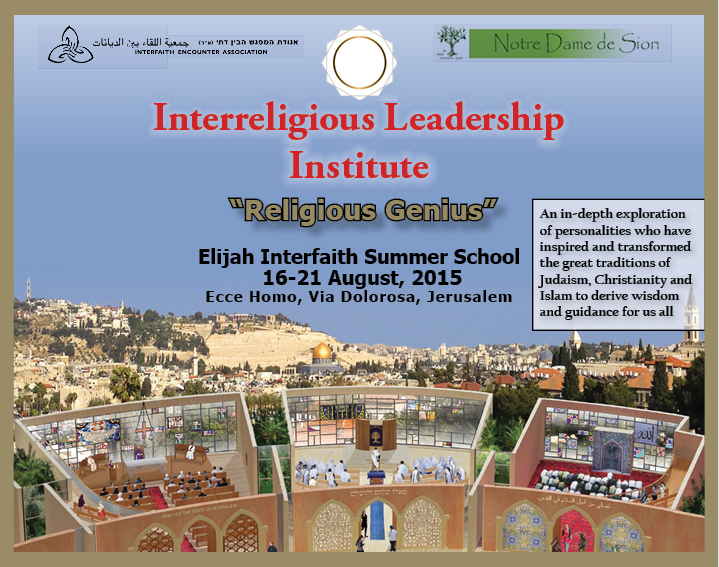 If you would like to learn more from Alon and the other scholars of the Elijah Academy, enroll for our Interreligious Leadership Training Institute in Jerusalem, 16-21 August. 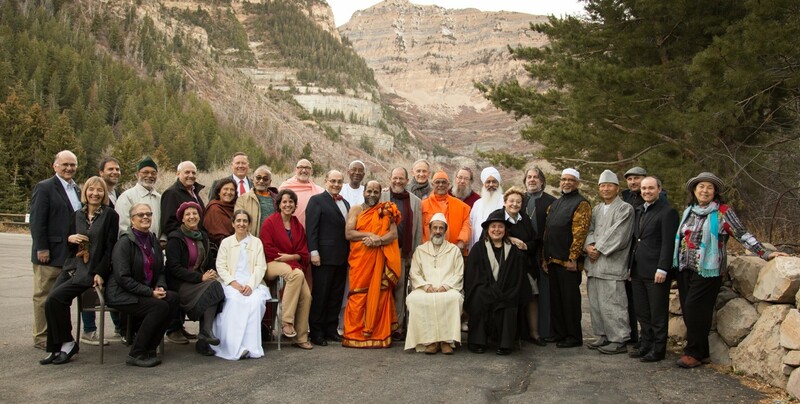 You are receiving this email because you are a distinguished member of the Elijah Board of World Religious Leaders.